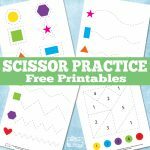 Using scissors and cutting along the lines is a perfect way to upgrade the fine motor skills, so this time we have prepared a bunch of lovely and free Bugs Scissor Practice Worksheets for your kiddos to have fun with. 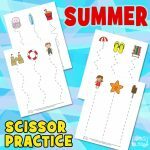 Keep your young learners active and do some fun scissor exercises with a help of this cool bug themed pack. 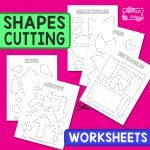 These worksheets are great for improving hand-eye coordination, while your kids can firstly trace all of the lines with their markers, and later on cut them out with scissors. Spring is here and so are all those adorable little creatures, crawling and flying in different directions. Let’s think about their everyday life in nature and try to mimic their movements with tracing and cutting along the dashed lines. 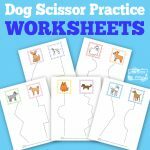 The pack is perfect for beginners and for kids that are already mastering some of the cutting skills. 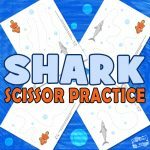 You will get 6 unique worksheets in the pack. On the first page, there are 4 dashed shapes. There is a large rectangle with an ellipse inside of it. In the ellipse, there is another rectangle and in the rectangle, you will find an ellipse with a caterpillar inside of it. The dashed line of the second page tries to mimic a path of a flying bee. Kids can color all of the bees, trace the line with a marker and then cut along the dashed line to get to the biggest bee on the page. The next three pages include different types of lines that will need your skills. Here you will find straight, wavy and zig-zag lines. There are six paths on each page. Kids will start with some basic lines and continue with a bit more complex ones. And on the last page, there are 4 longer lines that lead to the bugs at the end of the page. The bugs are inside of a circle, a rectangle, a flattened hexagon and inside of an ellipse. Follow the dashed path, cut out each shape at the end of the lines and set free the captured dragonfly, praying mantis, butterfly and a ladybug. Let the cutting fun begin once more! 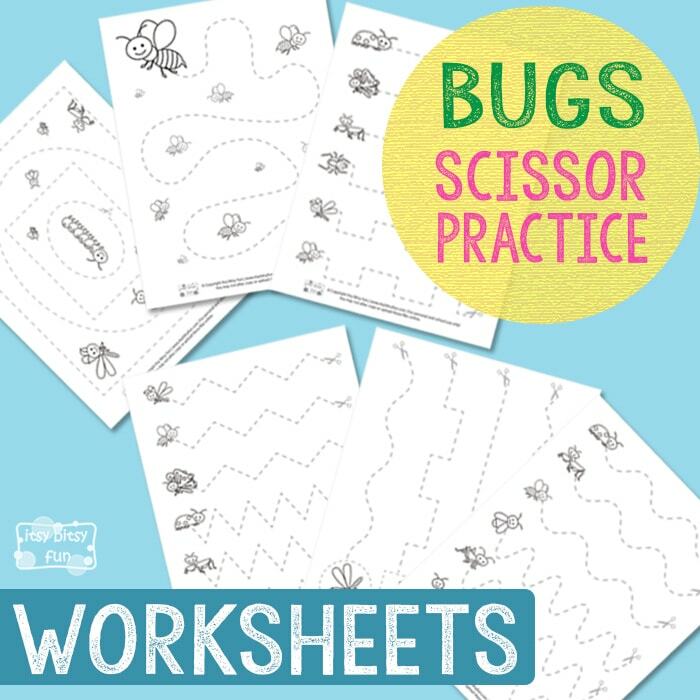 Get your free printable Bugs Scissor Practice Worksheets here. 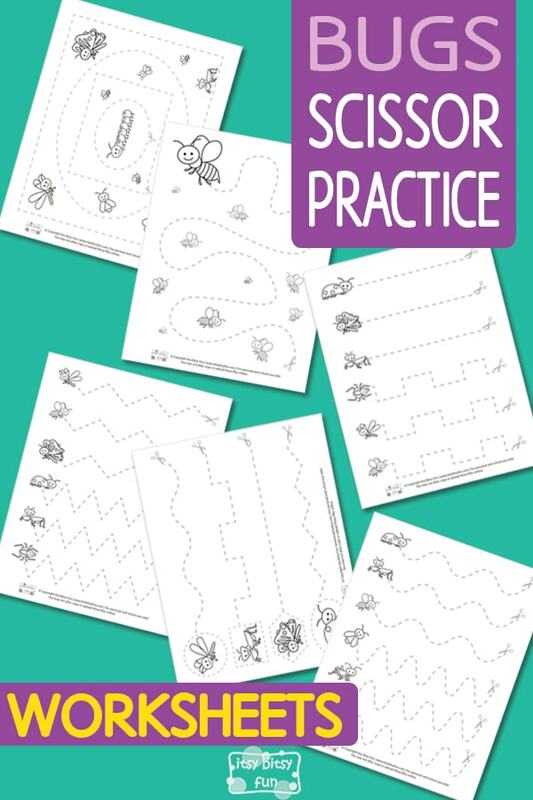 You can print out some of these Bee Activity Books or continue with some Frog Scissor Practice Printables here.